Easy on and off, temporary holding solution, ideal for seasonal use! Easy to re-position for different types of sporting equipment . Mount on interior side or rear windows. 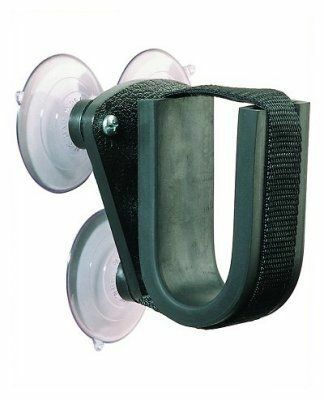 Super Strong Suction Cups rated to hold over 60 pounds. Holds a cased or uncased gun, scoped rifle, archery equipment, tools, etc.